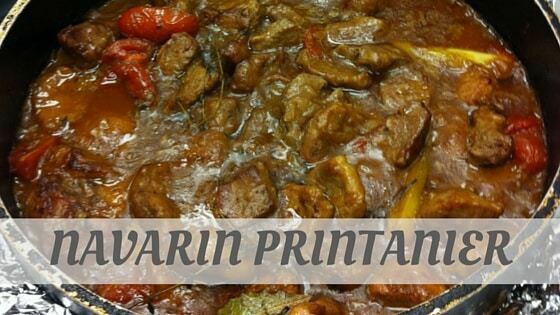 Phonetics For Pronouncing 'Navarin Printanier'? A ‘navarin’ *(m) is, strictly speaking, a lamb or mutton stew with root vegetables. A ‘navarin printanier’ is a lamb stew with Spring vegetables. The adjective ‘printanier’ (Spring) is derived from the French word for ‘Spring’ – ‘printemps’. See also ‘ragoût’ – from this link you will find the other important French stews.